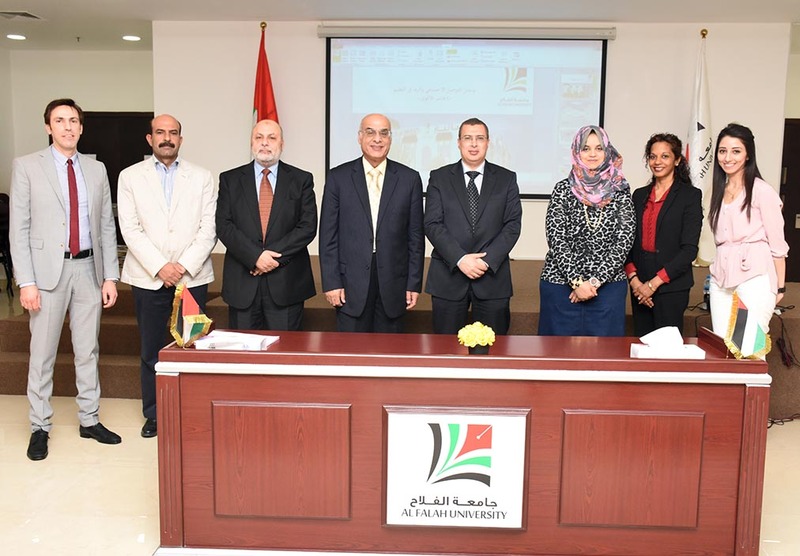 The College of Law at Al Falah University organized a lecture on Tuesday, April 26, 2016, on "Social Media and its Impact on Education," delivered by Dr. Lamia Ruslan, a distinguished faculty member of the University. Dr. Ruslan emphasized the positive aspects of social networking sites and highlighted their importance in the functioning of the educational process, especially if it is linked with other teaching aids available such as Moodle, which serves as a communicating ground between the instructors and students. 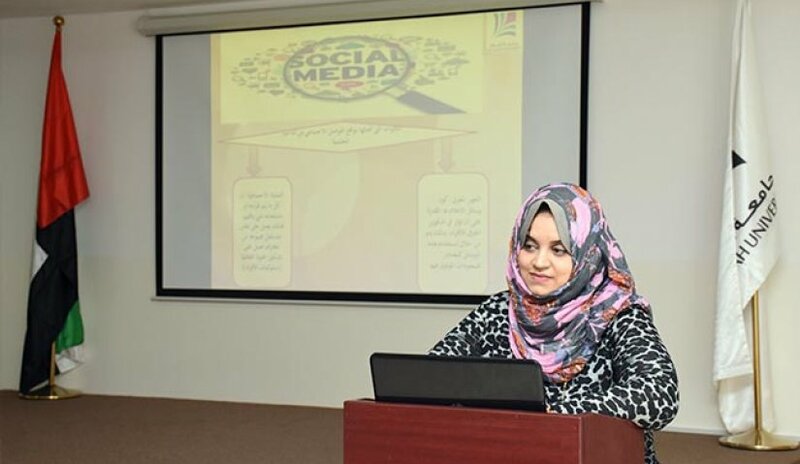 In her lecture Dr. Lamia Ruslan narrated some successful experiences of various educational institutions which have pursued a social networking approach in the conduct of the educational process. At the end of the lecture the floor was open for discussion. Comments and suggestions were noted to develop the educational features of the University.